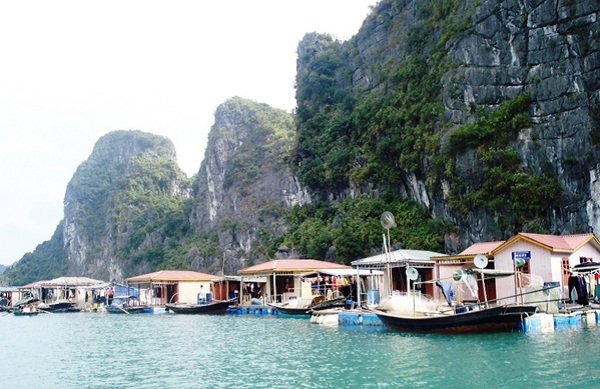 Travel website Journeyetc.com just put Cua Van fishing village of Halong Bay, Quang Ninh to the list of the most beautiful historic villages in the world. Cua Van fishing village with cobbled laneways, the majestic limestone mountains, fishing villages on the river put Hovers. 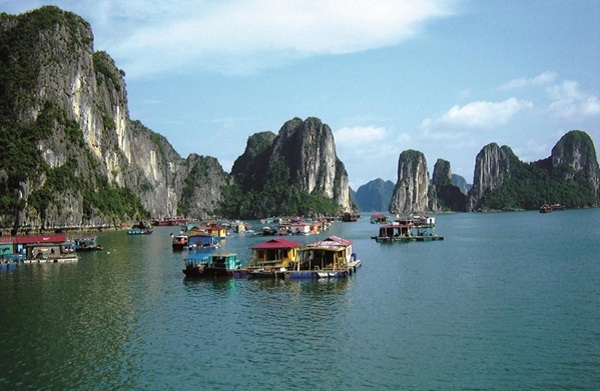 The landscape here is very amazing and incredible and leave a distinct impression in the tourists with the roof painted boat colorful paintings create a shimmering floating on ocean waves Halong. These things helped Cua Van fishing village became one of the about 18 villages have remained rare pristine attractive, beauty in the world. The lives of the people here is very simple and happy. Cua Van fishing village appealing not only by the beautiful natural scenery, bustling daily life, but also because the environment is people very consciously keeping. At Cua Van village, all floating house are very clean and tidy. People took turns rotating scavenging sailing on the sea each day, saving water to minimize the amount of waste. Coming to the village, visitors not only be immersed in a quiet space, tranquil, strangely seductive, firsthand views of the beautiful natural landscape, to learn the historical life of the man but also the female rural fishing village directly and some items to catch the seafood… In recent years, Cua Van fishing village (Halong city) emerged as a destination guide for local and foreign tourists. 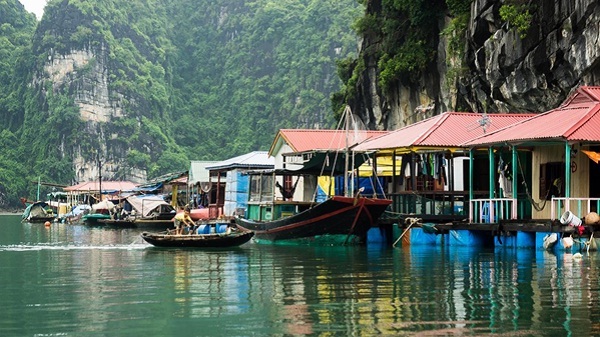 Cua Van fishing village is derived from two ancient fishing village Jiang Hammocks and Hammock Bamboo, along with the island, becoming an integral part of Halong Bay, now located in Hung Thang Ward (Halong city). All is reproduced by the model under six main themes: the people; the live, their hope, the technique to go fishing, simple live, the style.